As the first banner ad popped up online back in 1994, who’d have thought one of the most lucrative activities of the modern-day digital advertising would be – fraud? Estimates conducted by Khalid Saleh (in 2016) suggest that 1/3 of all money spent on digital advertising actually goes to fraud activities. This is particularly true for retargeting, an advertising activity in which fraudsters can easily (and cheaply) employing thousands of bots and start receiving significant advertising revenue when those bots get tagged as high-value targets. It’s possible to combat this revenue drain with technology that scores every user from the moment they click on an ad or enter a website. Get to Know NS8 Protect! A multilayered fraud solution integrated with the WooCommerce platform, NS8 provides advertising/retargeting fraud prevention, transaction fraud protection, and performance monitoring – all within a single product. Once the user has landed on the website, S8 continues to monitor each user as they navigate through it, looking for bots masquerading as real humans by considering how customers are navigating the site, where they have come from, and other numerous other attributes. 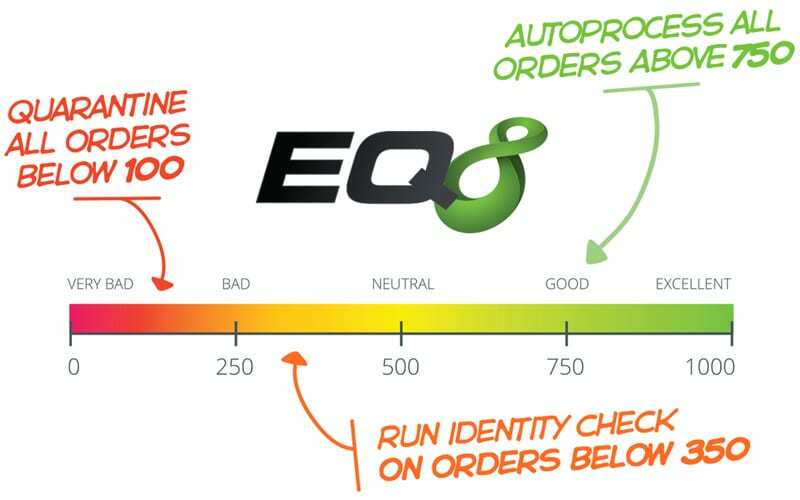 These parameters together make up the EQ8 Score, a metric used to evaluate every advertising campaign according to the quality of traffic it brings. By scoring campaigns and traffic, it’s easy to notice in which campaigns do the common ad fraud problems occur, including click fraud, display fraud, and affiliate fraud. Furthermore, merchants can see if certain campaigns are resulting in fraudulent or suspect orders. Because the scoring is automatic and the campaign information comes from UTM parameters, it requires no set-up or effort. Once the program is installed, it’s ready to start scoring and saving your money! But fraud doesn’t end here and neither do the possibilities within NS8. As an additional layer of ad fraud protection and through a Google Analytics integration, users that fall below a target EQ8 Score are directly blocked from retargeting campaigns. This not only allows companies to automatically segment their audience and remove any revenue drains, but also offers more insight into customers by providing additional analytic information to supplement GA and help eCommerce stores better understand their real customers. 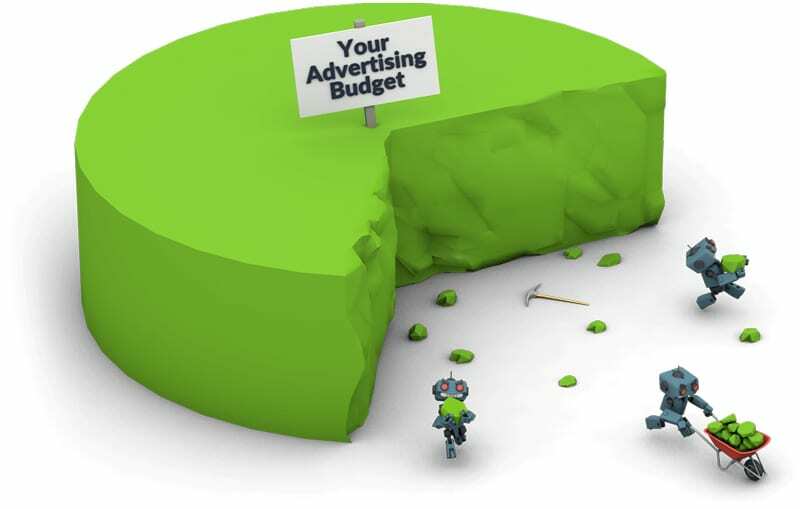 In other words, businesses can then save retargeting money for real customers, focus all advertising spend on high-performing campaigns with better ROIs and optimize their campaigns to better reach the people looking for them. If ad fraud is the bad, transaction fraud is the ugly – and costly concern for most eCommerce businesses. Card-not-present merchants are often the target of fraudulent transactions due to the ease of attempting multiple cards and accounts quickly without drawing attention. Considering how creative digital fraudsters can get, eCommerce purchases need a different kind of protection in place than brick-and-mortar stores. 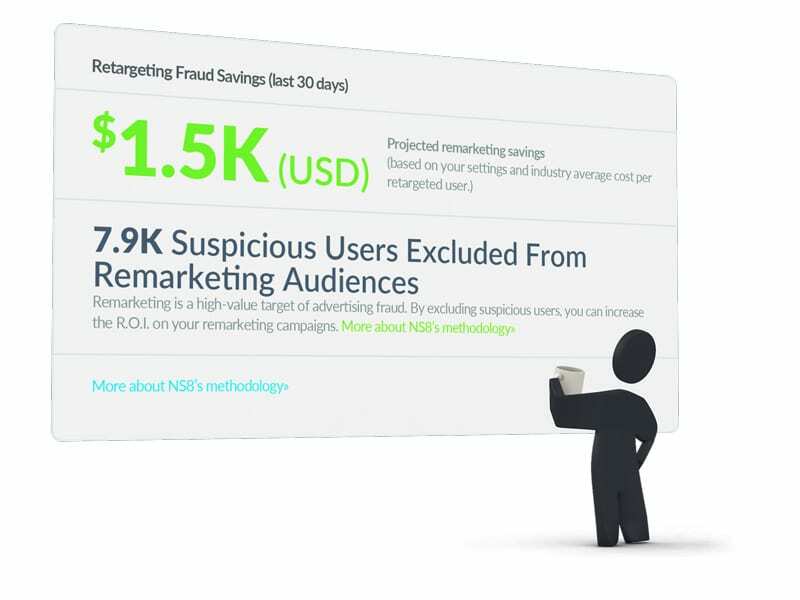 By tracking customers from the time they click an ad or enter the site, NS8 software can analyze more than 170 different attributes to identify risk factors for fraud. This includes common factors like device fingerprinting, hidden sessions, identification mismatches, and block lists. However, it goes a step further by adding in pre-session data (how a customer reached the site), considering TOR and proxy use, and utilizing proprietary methods of recognizing potentially fraudulent users. By evaluating so many different data points, it can better determine which orders should be considered suspect. Suspect orders are then flagged on the WooCommerce order page as well as the NS8 dashboard. Using customized order rules and risk thresholds, companies can automatically process orders falling below a certain EQ8 Score, cancelling and refunding them to avoid a chargeback. Suspect orders can also go through SMS verification or manual review, allowing more orders to be approved. This puts the merchant in control of balancing their fraud control with revenue goals. Let’s say you’ve done everything you could to protect your website from fraud. There’s nothing to worry about anymore, right? Nothing could harm it. Except… have you checked how fast your website loads? Website performance can also have a profound impact on revenue. In fact, sites that take more than just a few seconds to load lose customers as quickly as the customers lose patience. Sites that let a certificate expire can land on Google’s unsafe list, with many customers unable to access the site until the problem is fixed. Even worse, server issues around the globe may mean that part of the site (or the whole thing) is not loading correctly in certain parts of the world, and the merchant may not even be aware. Technology to the rescue! NS8 software has built-in alerts to watch for performance issues, extending the protections that WooCommerce offers. This means merchants know immediately when there is any problem and can work to fix it quickly. In addition to watching block lists, certificate expirations, and loading times, we also use Real User Monitoring (RUM) to determine whether there are any problems around the globe. RUM can be particularly useful for WooCommerce shops because it allows companies to see how their website is performing worldwide. A problem that only exists in India may not be noticed by an American company for days or even weeks. That means a shop could lose days or weeks of revenue without even knowing. To prevent that, Real User Monitoring checks a site’s performance in real-time by pinging off servers found around the world – and sends out alerts as soon as the problem is found. If you’re still reading, chances are you’re in the need of a multilayered fraud solution integrated with the WooCommerce platform that provides advertising/re-targeting fraud prevention, transaction fraud protection, and performance monitoring – all within a single product. You’ve probably also found it useful that fraud can be tracked throughout the customer life-cycle, identifying a range of risks that indicate suspect users from the initial ad campaign all the way through to the store’s checkout. Not to mention that behavioral analytics, real-time user scoring and global monitoring both protect against threats and empower companies with better insight into their real customers. Finally, all these benefits are part of a technology that’s already integrated with WooCommerce platform so no technical lift is required for installation, and there are additional benefits such as order quarantine and verification options that fall seamlessly into the customer transaction process with no friction. With a simple click to install, it works right away. So if you’re interested in learning more about defending your revenue with NS8, here’s where you should go next. If you’d like to get to explore this fraud solution in detail, take advantage of the free 30-day trial offer for new WooCommerce customers and contact Neuralab team!